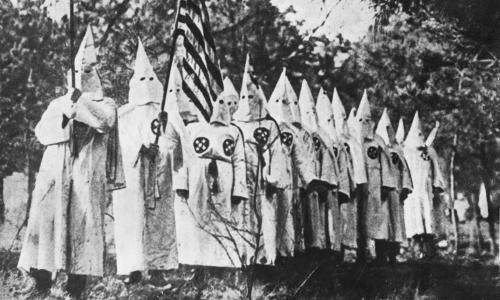 In the 1920s, the membership of the Ku Klux Klan exploded nationwide, thanks in part to its coverage in the news media. One newspaper exposé is estimated to have helped the Klan gain hundreds of thousands of members. Dr Felix Harcourt, a professor of history at Austin College and the author of Ku Klux Kulture, breaks down what he calls the “mutually beneficial” relationship between the Klan and the press – and explains how much the debate that raged over coverage of the Ku Klux Klan in the 1920s mirrors today’s arguments. We’re looking at the debate that is happening in the media right now over how to deal with white supremacist and neo-Nazi movements. You looked at the same debate that was happening almost 100 years ago. Can you set the scene for us?